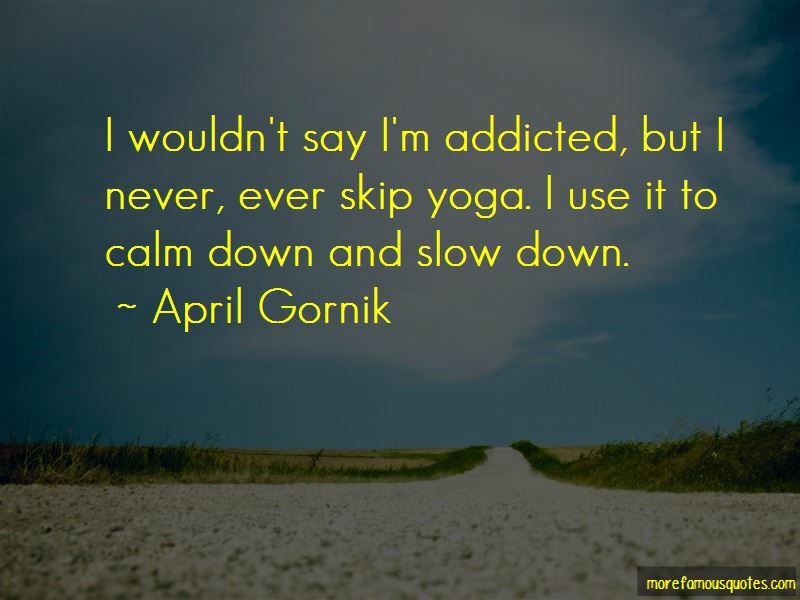 Enjoy the top 14 famous quotes, sayings and quotations by April Gornik. On the intimate level, anyone who has loved a companion animal knows the uniquely wonderful experience these 'other nations' provide, and their important presence in our shared lives. In their very local way they show us the global truth of our real wealth, our biodiversity. Most people respond to my paintings quite generously, but there have been cases where I think people - a few critics in particular - were actually moved by the work but were disturbed by the feelings it evoked, so they attacked it. Some people find the realm of my work quite uncomfortable. After 40 years of not playing, I admit I'm totally in love with my guitar. It's a Froggy Bottom acoustic steel string guitar. All I have to do is hit a couple of clean chords and the endorphins are right there. It's like the top of my head has come off and stardust and magic have fallen in. Of course 'we humans' have a funny relationship with the beings with whom we share our planet. We eat them, we care for them, we admire them, we use them. 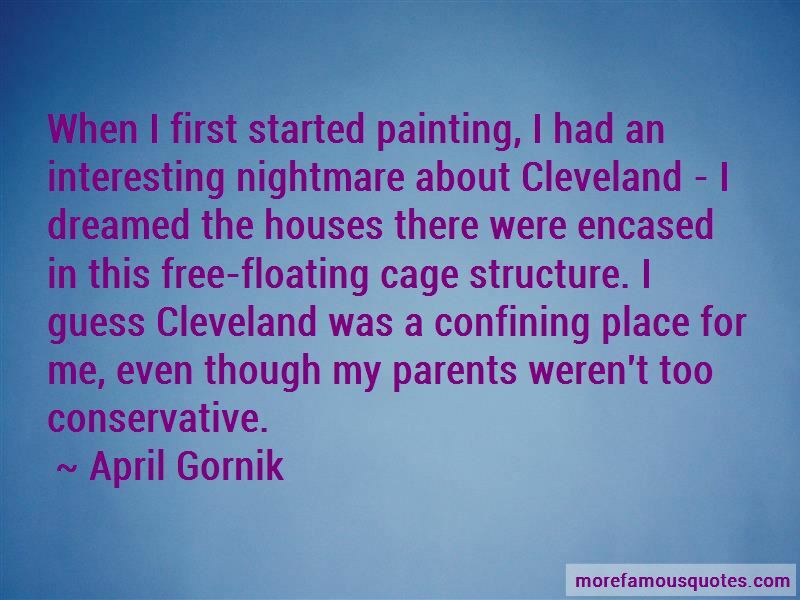 Want to see more pictures of April Gornik quotes? 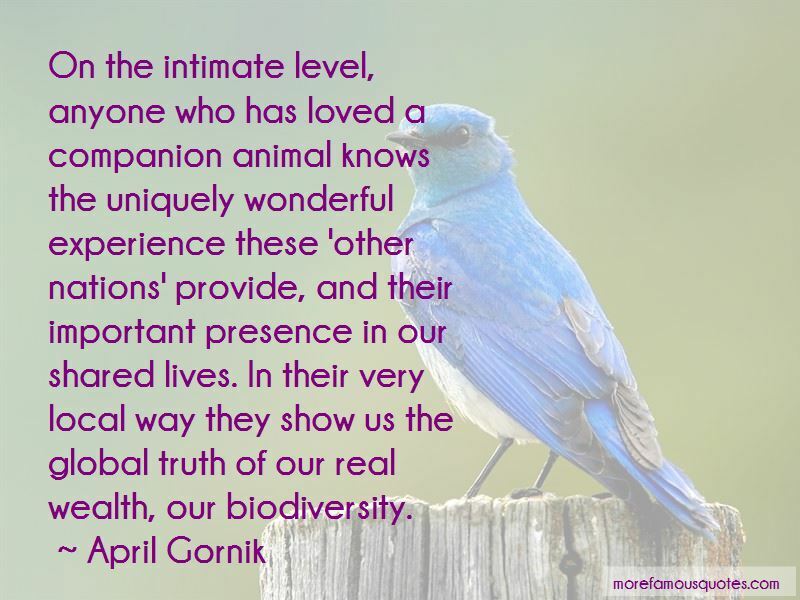 Click on image of April Gornik quotes to view full size.